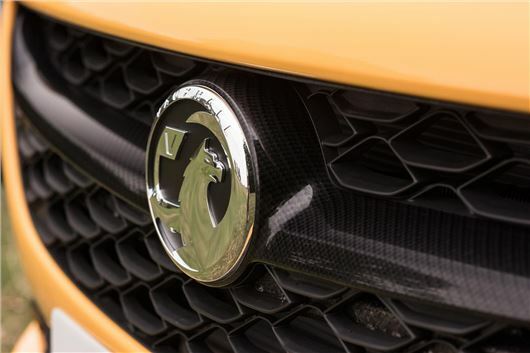 Vauxhall’s managing director Stephen Norman has talked openly about the next-generation Corsa - and made it clear that the firm has no plans to move upmarket under PSA ownership. Speaking to journalists at Vauxhall’s headquarters in Luton, Norman admitted that the current Corsa is 'a bit long in the tooth', but said the new model would take the popular Ford Fiesta rival forward by about three generations. The new model will be revealed at the 2019 Frankfurt Motor Show in September, with an electric version returning a predicted range of around 250 miles available from launch. “It’s a car that won’t upset your future mother in law but at the same time it’s a much sexier car than the cars you currently see from us," said Norman. Sharing a platform with the Peugeot 208 - which will also be offered as an electric model - the new Corsa will be sold only as a five-door and isn't expected to be any bigger than the current car. It also will stay true to the brand's modest values - something Norman, a former PSA Group chief, has made headlines for previously when he announced that the firm would continue to make ‘very good cars for modest people’. Clarifying that statement, Norman said: “When I say that Vauxhall is a car for the modest man or the modest woman, that doesn’t mean modest in terms of intellect or in terms of revenue,” he said. After the launch of the new Corsa in 2019, a small crossover version will follow in 2020. But how will that fit in with the Crossland and Mokka models? “The common sense will come as the future product strategy evolves,” said Norman. Vauxhall is on target to register 205,000 cars in the UK in 2018, and Norman expects that to be matched in 2019 - subject to a soft Brexit. The firm also plans to target retail customers and move away from low-profit business sales. Despite Vauxhall's somewhat misleading adverts about how British they are, the fact is that excepting British built Astra and the vans these are simply another imported car. Not a massive fan of vauxhall's either, but I wouldn't particularly slaughter them especially unjustifiably. I admit they are bread and butter, no thrills motors and whilst they are below average on the reliabilty stakes (behind Ford and way behind the Japanese and Korean leaders), most reliability indices will show that many perceived premium brands to be firmly rooted in the relegation zone, Jaguar Land Rover, Audi and BMW to name but a few consistently. Reliability indices do vary, but review a few of them first before butchering the brand. Would I buy a Vauxhall? It would be highly unlikely as there are better motors out there imo.